The ancient Greeks discovered them, but it wasn't until the nineteenth century that irrational numbers were properly understood and rigorously defined, and even today not all their mysteries have been revealed. 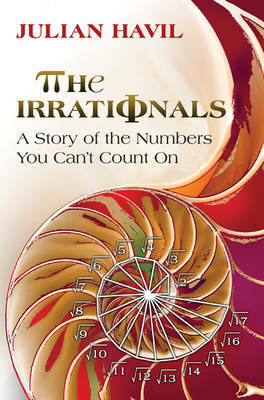 In The Irrationals, the first popular and comprehensive book on the subject, Julian Havil tells the story of irrational numbers and the mathematicians who have tackled their challenges, from antiquity to the twenty-first century. Along the way, he explains why irrational numbers are surprisingly difficult to define--and why so many questions still surround them. Fascinating and illuminating, this is a book for everyone who loves math and the history behind it.